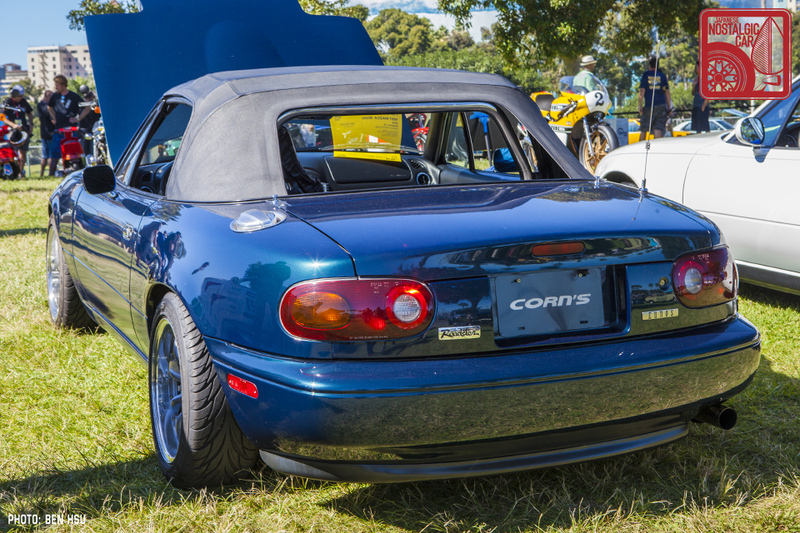 Our final installment of JCCS coverage spotlights the car to which we gave the JNC Award: Kevin Truong’s first-generation Montego Blue Mazda MX-5 Miata. Our pick coincided well with JCCS’s expanded eligibility of cars up to model year 1995. The Miata not only arrived at the dawn of the Bubble Era, but also welcomes a new era of JCCS. At the same time, it’s something attainable, relatable, and iconic. And most importantly, Kevin’s car is an exemplary specimen of the genre. This particular car came together in a relatively short amount of time, compared to many of the builds at JCCS. Kevin purchased the car from an older owner in Bakersfield, California in December 2017. 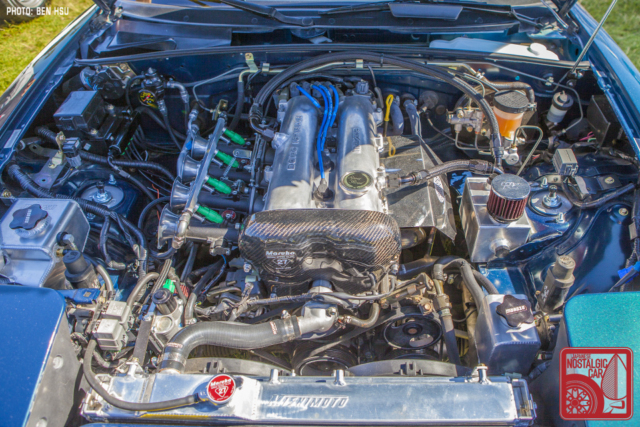 The car was built around two key components — a PitCrew high-rise header and Jenvey ITBs. “I’ve always wanted to build an all motor, ITB, NA Miata,” Kevin told us. From there, he accumulated parts like an ARC airbox, Arrive intake, Fujitsubo Legalis R exhaust, Toda engine parts, and Panasports. Part of the theme was a 60s and 70s throwback style and feel, a tribute to Kevin’s old 240Z and his fondness for Datsun Roadsters. That came through in the external styling, especially with the fitting of a distinctive yet subtle Barchetta Clubman GT front bumper. “I nearly purchased the whole catalog of parts from Maruha,” Kevin says of the Japanese MX-5 specialist. Everything from the camshafts to LSD to clutch and flywheel and cooling system components are from Maruha. In fact, the car is full of JDM NA cottage industry knickknacks, — Beatrush aluminum panels, KG Works gauge cluster and interior bits, Nakamae quilted interior surfaces, Car Make Corn’s seats and an M2 e-brake assembly. Kevin is also founder of Spirit Road, which makes many accessories such as horn buttons, gauge faces, wooden shift knobs, wooden e-brake handles, keychains, and oil caps, together with RevLimiter. Kevin is also expanding into coilovers, funnel screens for ITBs, and more. 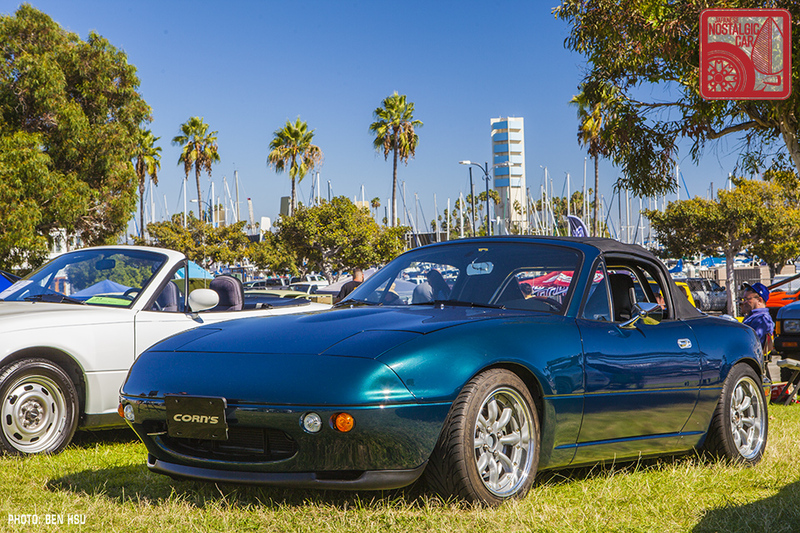 Kevin’s Miata also took second place in the Best New School Mazda category. Inspired by the two awards he took at this year’s JCCS, he and RevLimiter are making a new horn button with two stars and the phrase “Ad Astra Per Aspera,” which translates to “Hardship to the Stars.” It represents all the blood, sweat and tears Kevin poured into his Miata, getting the fuel lines, ITBs, and tuning to work properly. Speaking of Spirit, we also chose Kevin’s car because it keeps with the original spirit of the car itself. Despite its extensive parts list, the mods don’t overshadow what Mazda intended when they created the Miata. 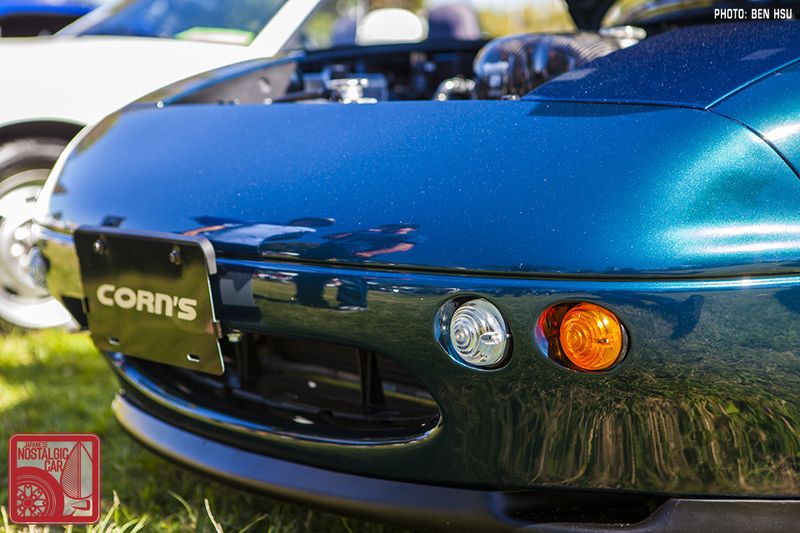 It’s that combination of detail and enthusiasm for a single model that makes this Miata special. Omedetou, Kevin! 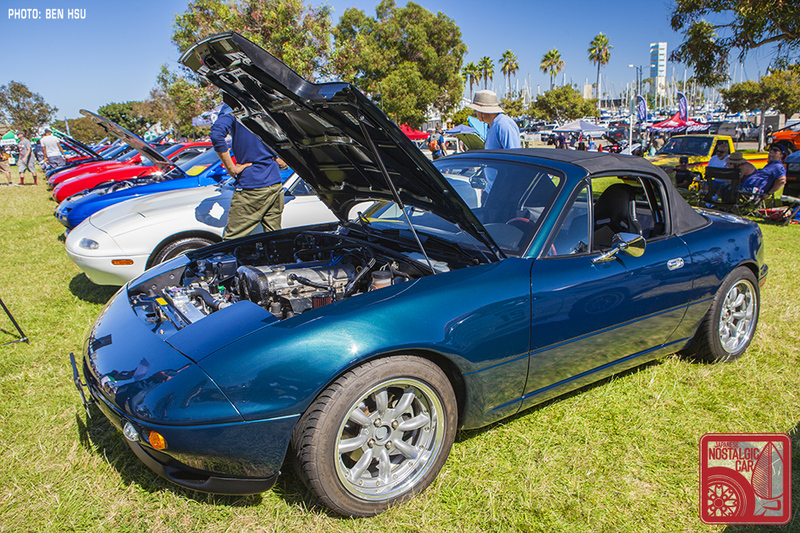 That concludes our 2018 JCCS coverage, but in case you missed it, check out Part 01 — JDM, Part 02 — Toyotas, Part 03 — Hondas, Part 04 — Subaru and Isuzu, Part 05 — Trucks, Part 06 — Mazdas, Part 07 — Nissan Bluebirds, Part 08 — Sunnys, Part 09 — Fairladies, Part 10 — Bubble Era, and Part 11 — Bikes, as well as a spotlight on the Wild Cards, the first Honda race car in America, and the Best in Show Mazda RX-7. tagged: jccs, mazda, miata, Miata NA, mx-5. Thank you gentlemen for this awesome write up and photos! I also appreciate and am deeply honored to have received the “JNC Award” this year. I also want to thank all my supporters, followers, customers, partners, friends and family. Fantastic car with so many great modifications. Montego Blue is right up there with my favourite Miata colors too.